2. empower the >European Union, it's memberstates, organisations, companies and citizens, in the fields of internet, ICT, mobile, digital, software and applications. ► raise awareness on what 10COM calls 'digital data trafficking' and 'data ownership monopolisation'. ► inform about internet and ICT technologies - you don't have to understand how a car engine works, but it's good to know how to brake, shift, light, wipe windows, open and lock the car. ► design pieces of legislature and a framework of effective smart basic rulings - internet is a new domain of policy, needing a new legislative approach. Bertha Benz didn't need rules as she drove the first fuel-engined automobile. Her grand-grand children can only drive safely because there are rules, for cars and for roads. ► train the European Union and EU governements in entrepeneurial thinking and acting, moving politicians and civil servants from the sub-transparent EU writing-and-discussing arena into the fresh air. The Age of Digital at the moment is for an important part owned and controlled by a few US based privately held companies. European citizens, politicians, companies and governing bodies have no (effective) governing powers, are not effectively active in governing boards, are not running influentual companies. 10COM aims to rearrange this situation to make the global power-balance more equal. So within the EU, the Age of Digital can be lived along the lines of general norms and values as accepted and promoted by the European Union. With democratic influence of citizens, transparancy, privacy, delivering innovation, security, profit and wealth. 10COM combines modern means of communications and influencing with old school techniques and methods of analogue social positive activism. Agile, free of dogma's, argument and opinion centred, not ego-centred, not for profit, think-tank, taskforce, consultancy. 10COM uses rulings and legislature in the first place as building material, not as instruments of control and oppression. 10COM sees citizens as co-creators, politicians of different 'colours' as part of balanced democratic decision-making, journalists as informers and watchdogs, diversity and differences as conditions sine qua non and unique selling points. 10COM is representing nobody, works for the collective 'well being' of euverybody. Opinions published are not always ours. 10com aims to stimulate new ways of thinking and acting. One method is provoking, polarising, sharing fresh opinions from others, to make steps, remove barriers or go around them, paving new paths. 10COM – WHAT'S IN THE NAME? 1 | 0 - the 1 and 0 of the binary coding system, symbolising the Age of Digital. 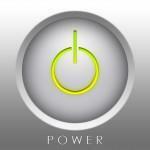 I O - the on/of switch of electronic devices, symbolising the power to decide. COM - communications, company & competition. COMM - commandments as meant in 'ten commandments'. 10com stands for digital communications, exchange of information. 10com stands for the principle of basic, long-life, broad supported, effective rulings. 10com stands for being able to decide, how internet and digital data flows are governed. 10com stands for minimal 10 independent, influential EU-based IT & internet companies. 10COM supports or co-operates in projects others started, or initiates projects within the reach of it's aims. 10COM micro-blogs via the Twitter platform @10comm. Scrolling down the tweets, one get a picture of the way 10com thinks and would like to act. Provoking thoughts & opinions. Not all views expressed in the blog are shared by the people behind 10COM. We think it important, to read all different kind of views, to get the whole picture.